The Laurel and Hardywood Convention is excited to announce the appearance of Hunter and Stan Freberg to the list of growing stars at Laurel and Hardywood. 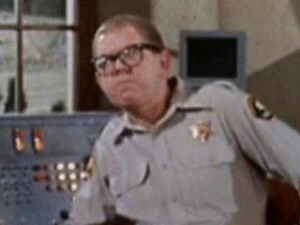 Stan appeared in my favorite film, “It’s A Mad, Mad, Mad, Mad World”. They will appear Friday afternoon and stick around for the autograph session following the group shot of the Little Rascals. They will bring goodies too. 4th of July Stan Freberg Presents the United States of America drawings and books. Below is a formal Biography of the Two Frebergs. 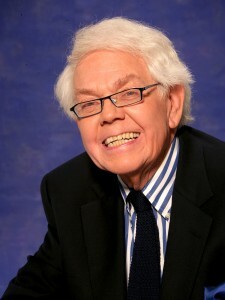 Stan Freberg is one of America’s best-loved humorists, satirists, and keynote speakers. He is known worldwide as an award winning composer, lyricist, singer, actor, writer and director. His albums have sold millions, reaching multi generations of fans. Starting at the age of 18 he began a career as a voice-over actor doing over 400 Warner Bros. cartoons. He also was directed by Walt Disney himself, who chose Freberg to be the voice of the beaver in Lady and the Tramp. The beginning of Freberg’s radio career started with him appearing in a small part on the Jack Benny Show and culminated a few years later with actually replacing Jack Benny with the Stan Freberg Show on the CBS Radio Network. During the same time period he helped create the award-winning children’s program “Time For Beany” (“Beany & Cecil”), which received an Emmy for Best Children’s Show three years in a row. He performed many characters including Dishonest John and the much loved Cecil the Seasick Sea Serpent. Professor Albert Einstein was one of the show’s millions of fans. The Capitol Tower was Freberg’s next home and that is when Harvey Kurtzman, creator of Mad Magazine came to Freberg and asked him to write the Forward for the first collection of Mad Comics called, Inside Mad. In typical manner, he wrote a Backward instead. During Freberg’s Capitol years, he recorded such hits as “John and Marsha”, “St. George and the Dragonett”, “Green Shrismas”, and “Stan Freberg Presents The United States of America”. He is known as one of the handful of Capitol Legendary Recording Artists and served on the founding Board of Governors of NARAS where he personally created the word “Grammy” in 1957. Radio, television, and print advertising were next. There was no humor in advertising before Stan Freberg. Advertising Age magazine called him “The Father of the Funny Commercial”. When Freberg recorded Volume 2 of his series “Stan Freberg Presents The United States of America”, it was nominated for a Grammy. His box set, “Tip Of The Freberg” — four CDs with over 100 tracks plus 20 of his award winning TV commercials – is a best seller. Feature stories about Freberg have appeared in TIME, Newsweek, People, The New York Times, the Los Angeles Times, USA Today, The Wall Street Journal, and numerous trade publications. Freberg has been a frequent guest on television shows such as “The Today Show, “Larry King”, and “The Tonight Show”. His fans cut through all demographic and social boundaries. Sci-fi icon Ray Bradbury, actors Tom Hanks, John Lithgow, Billy Crystal and Sir Anthony Hopkins, directors Steven Spielberg and Steven de Souza, Beatle Sir Paul McCartney, and Governor Mike Huckabee and Senator Joseph Leiberman are but a few of the legions of Freberg fans. His many awards include four Emmys, a Grammy, the Venice Film Festival’s Grand Prix and 21 Clios (the Oscar of Advertising). Freberg has been inducted into The Radio Hall of Fame, The Animation Hall of Fame, and has a star on The Hollywood Walk of Fame. Ambassador Hunter Freberg has served as the Ambassador for international jeweler Harry Winston. Hunter is a humorist, entertainer, well-known media personality, and keynote speaker. Her audiences have numbered in size from 150 to 5, 000 and have ranged from top Fortune 500 companies to international associations. She has been a correspondent on KRON-TV (S.F. ), KNBC-TV (L.A.), WJBK-TV (Detroit), and CNN, answering viewers’ questions from around the country. Her commentaries have been syndicated on over 300 radio stations across the country and she has served as co-host for ABC Talkradio. Her no-nonsense, breezy, on-target style has even taken center stage at The Improv in Los Angeles. Audiences have described Hunter as hilarious, captivating and endearing. She has spoken to the DGA, WGA, American Women in Radio, Television’s national convention and Women in Film, to name just a few. 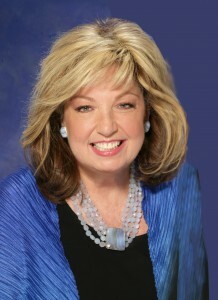 Women in Communications’ nation convention voted her the most popular speaker. Since marrying humorist/satirist Stan Freberg, audiences have declared it, “A comedy match made in heaven”. They have appeared together at Disney and co-keyed the Las Vegas Book Festival. Previously, Hunter was a Vice President of Boyden International and associated with Korn/Ferry International, two of the world’s top executive search firms. She placed senior executives in top positions around the world. Feature stories about Hunter have appeared in trade publications and newspapers including the Los Angeles Times and the San Francisco Chronicle. She has been interviewed on CNN, NBC, ABC, CBS, and FOX and has been profiled in publications such as USA Today, The Hollywood Reporter, Broadcasting, Glamour, and Adweek. Hunter earned a B.S. degree in Psychology from the University of Southern California and has done work at the University of Southern California and the University of California at Los Angeles. She served on the Board of Directors for the University of Southern California’s Marshall School of Business Alumni Association. Honored by this group, she received the top fund raising award. She is an active member of Hollywood Radio and Television Society, SAG-AFTRA, Society of Composers and Lyricists, Blue Ribbon of the Los Angeles Music Center, Costume Council of LACMA and The Council of the Los Angeles Library Foundation.